Cars that were produced in the 1950s — from 1950 to 1959. Pages in category "1960s cars"
The Alfa Romeo Spider is a roadster produced by the Italian manufacturer Alfa Romeo from 1966 to 1993—with small run of 1994 models for the North American market. The successor to the Giulia Spider, it remained in production for almost three decades with only minor aesthetic and mechanical changes, the first three series were assembled by Pininfarina in Grugliasco and the fourth series in San Giorgio Canavese. The last Spider was produced in April 1993—the last rear wheel drive Alfa Romeo before the Alfa Romeo 8C Competizione of 2007. In May 2012, Fiat announced an agreement with Mazda, finalized in January 2013, however, a modern interpretation of the Fiat 124 Sport Spider will be produced instead. In 1962 Alfa Romeo introduced the new 105-series Giulia, which first complemented, the sport variants of the Giulietta remained on sale for several more years, upgraded to the Giulias 1. 6-litre engine and rebadged Giulia, until analogous variants of the new models were ready. Thus the Giulietta-based Giulia Spider 1600 and Giulia Spider Veloce were produced from 1962 to 1965 and from 1963 to 1965 respectively. Following the evolution the other Giulia sport variants, the Spider was powered by a 1.6 L engine, received the 1.3 L1300,1.8 L1750 and finally 2.0 L2000 engines. Unlike any other Giulia derivative, it was upgraded and continued to sell through four decades, as for its predecessor the Giulietta Spider, the Italian firm of Pininfarina was responsible for the design, manufacturing of the body, as well as final assembly. The 1600 Spider was the last project in which founder Battista Pininfarina was involved, design director of Pininfarina at that time was Franco Martinengo. The original 1966 Spider shape was the result of a number of Pininfarina design studies, the first one was the Alfa Romeo Superflow, a concept car built upon the chassis of a retired 6C3000 CM racing car and first show at the 1956 Turin Motor Show. In the following years the Superflow was updated three times into three more different concept cars, namely a Superflow II coupé, an open-top spider and finally another Superflow IV coupé. The most significant in the Spiders design history was the second and it did without the rear fins of the Sperflow and Superflow II, showing for the first time the rounded cuttlebone-shaped tail and tail light configuration of the Spider. Last of the Spiders forerunner was the Giulietta Sprint Speciale-based Alfa Romeo Giulietta SS Spider Aerodinamica and it was similar in shape to the production car, but for hideaway headlamps. The Spider was launched at the 36th Geneva Motor Show in March 1966, to choose a name for the spider Alfa Romeo announced a write-in competition, offering an example of the new car as a prize. Over 100 thousand ballots were sent in, the majority from Italy, the winner was Guidobaldo Trionfi, a man from Brescia. However it could not be adopted due to trademark issues. The Spiders 1,570 cc twin cam engine had dual Weber two-barrel side-draft carburetors, sparsely fitted inside but including five speed manual transmission, disc brakes 15 wheels fitted with Pirelli Cinturato 155HR15 CA67 tyres. The Ambassador was the top-of-the-line automobile produced by the American Motors Corporation from 1958 until 1974. The vehicle was known as the AMC Ambassador, Ambassador V-8 by Rambler, the name Ambassador had applied to Nashs senior full-size cars. The Ambassador nameplate was used continuously from 1927 until 1974, at the time it was discontinued, most Ambassador models were built in Kenosha, Wisconsin. They were built at AMCs Brampton Assembly in Brampton, Ontario from 1963 to 1966, Australian Motor Industries assembled Ambassadors from knock-down kits with right-hand drive. The U. S. fifth generation Ambassadors were produced by Industrias Kaiser Argentina in Córdoba, Argentina from 1965 to 1972, fifth and seventh generation Ambassadors were modified into custom stretch limousines in Argentina and the U. S. Following George W. Masons unexpected death in the fall of 1954, George Romney, succeeded him as president and CEO of the newly formed American Motors. 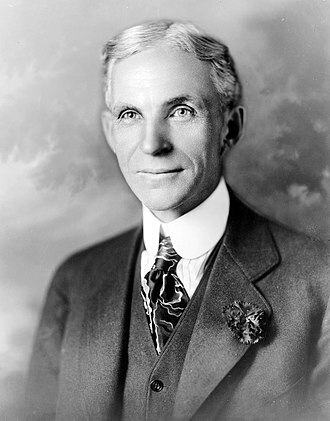 Toward that end, he set out to increase AMCs market share with its Rambler models that were selling in market segment in which the domestic Big Three automakers did not yet compete. However, as sales of the large-sized Nash Ambassador and Hudson Hornet models slowed, it clear to Romney that consumer confidence in the historic Nash. Reluctantly, he decided that 1957 would be the end of both nameplates, and the company would concentrate on the new Rambler line, which was registered as a marque for 1957. American Motors planned to produce a stretched a 117-inch wheelbase version of the Rambler platform for Nash dealers to be the new Nash Ambassador, and another for Hudson dealers. Shortly before committing to production of the new versions of the Hudson. Its features included a 327 cu in V8 mated to a BorgWarner supplied 3-speed automatic transmission with push button gear selection. In 1956, AMC first produced its own V8, an overhead valve V8 displacing 250 cu in, with a forged steel crank shaft. In 1957, AMC bored and stroked the 250 CID V8 to 327 cu in displacement which when offered in the Rambler Rebel used solid lifters, in 1958, the Ambassador was equipped with a hydraulic lifter version of AMCs 327 CID V8 rated at 270 hp. For the AMC AMX of 1978, see AMC Concord. The AMC AMX is a two-seat GT-style sports car that was produced by American Motors Corporation for the 1968 through 1970 model years, the AMX was classified as a muscle car, but unique among other American cars at the time due its short wheelbase. The AMX was the only American-built steel-bodied two-seater of its time, to a degree, the AMX was a competitor with Americas only other two-seater of the era, the Chevrolet Corvette for substantially less money. In spite of this value and enthusiastic initial reception by media and enthusiasts. However, the automakers larger objectives to refocus AMCs image on performance, after three model years, the two-seat version was discontinued, and the AMXs now signature badging was transferred to a high-performance version of its four-seat sibling, the Javelin, from 1971-1974. The AMX name originates from the American Motors eXperimental code used on a concept vehicle, one was a fiberglass two-seat AMX, and the other was a four-seat AMX II. Both of these radically styled offerings reflected the companys strategy to shed its economy car image and appeal to a more youthful, the original AMX full-scale models were developed in 1965 by AMCs advanced styling studios under the direction of Charles Mashigan. The two-seat AMX was big hit on the show circuit in 1966. Robert B. Evans requested a car like the AMX to be put into production quickly, two simultaneous development programs emerged for a production car, one for a modified Javelin and another for a completely new car bodied in fiberglass. The automaker could turn out steel bodies in large numbers, so it rejected developing plastic bodies because those are intended only for low-production models, the first fully operational unit debuted as part of AMCs AMX project in 1966. 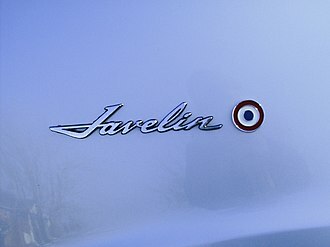 The once-frumpy automaker jumped on the pony car bandwagon with its attractive Javelin and soon introduced the unique AMX featuring a design where hoods didnt come any longer, nor decks any shorter. Vic Raviolo, previously responsible for the Lincolns that raced in the Carrera Panamericana during the 1950s was involved with engineering AMCs new sports-car-type coupe. The Aston Martin DB4 GT Zagato was introduced in October 1960 at the London Motor Show. It was effectively a DB4 GT, lightened and improved by the Zagato factory in Italy, initially the factory had plans to produce 25 cars, but demand was not as strong as expected and production ceased at the 20th unit. They are known as Sanction II and Sanction III cars, also, an unauthorised but lucrative private industry of modifying original DB4 GTs into Zagato replicas has arisen as well to meet market demand for high-quality Zagato recreations. Although the specification of the engine was changed and upgraded throughout their racing history, with a more powerful 9.7,1 compression ratio when compared to the DB4 GT engine. The engine produced 314 hp, a 0 to 60 mph acceleration of just 6.1 seconds, Ercole Spada at Zagato transformed the DB4 GT into a smaller, more aerodynamic, super lightweight car. Many steel components were replaced by aluminium counterparts, basically all non-essential elements disappeared, such as the bumpers. With the help of Perspex and aluminium components, more than 100 pounds was shed off the DB4 GT, four of the original Zagatos chassis,0191,0193,0182 and 0183 were built to a lightened DP207/209 specification, especially for racing. The DP209 cars have a lower roofline, larger rear wings, the first competition outing of a DB4 GT Zagato was during Easter in 1961 at Goodwood. Driven by Stirling Moss the car finished 3rd, behind an Aston Martin DB4GT, both the Zagatos raced in the 196124 Hours of Le Mans. However a repeat of the 1959 Le Mans victory was not to be, in July 1961 at a British Grand Prix Support race the Zagato had its first victory. With 2 VEV taking the last lap lead from a Jaguar E Type,2 VEV crashed heavily at Spa in 1962 and was rebuilt to the lightweight DP209 specification. After a road accident in 1993 the car was returned to the 1962 specification, chassis 0200 raced in the 196224 Hours of Le Mans, however, a blown piston after 9 1⁄2 hours forced the car to retire. In 1988, four unutilised chassis numbers were put to use, with the approval of Aston Martin, four DB4 chassis were appropriately uprated to GT specifications. The Société des Automobiles Alpine SAS, commonly known as Alpine, is a French manufacturer of racing and sports cars that used Renault engines. The company was bought in 1973 by Renault, production of Alpine models ceased in 1995. The Alpine marque has been relaunched, with the 2017 introduction of the new Alpine A110. Using Renault 4CVs, Rédélé gained class wins in a number of events, including the Mille Miglia. As his experience with the little 4CV built up, he incorporated many modifications, including for example, special 5-speed gearboxes replacing the original 3-speed unit. To provide a car he built a number of special versions with lightweight aluminium bodies, he drove in these at Le Mans. Encouraged by the development of cars and consequent customer demand. The firm was named Alpine after his Coupe des Alpes successes and he did not realise that in England the previous year, Sunbeam had introduced a sports coupe derived from the Sunbeam Talbot and called the Sunbeam Alpine. This naming problem was to cause problems for Alpine throughout its history, in 1955, he worked with the Chappe brothers to be amongst the pioneers of auto glass fibre construction and produced a small coupe, based on 4CV mechanicals and called the Alpine A106. It used the chassis of the original Renault 4CV. The A106 achieved a number of successes through the 1950s and was joined by a low, styling for this car was contracted to the Italian designer Giovanni Michelotti. Under the glassfibre body was a stiff chassis based on a central tubular backbone which was to be the hallmark of all Alpines built. The A108 was built between 1958 and 1963, in 1962, the A108 began to be produced in Brazil, by Willys-Overland. By now the cars mechanicals were beginning to show their age in Europe, Alpine was already working closely with Renault and when the Renault R8 saloon was introduced in 1962. Alpine redeveloped their chassis and made a number of body changes to allow the use of R8 mechanicals. This new car was the A110 Berlinette Tour de France, named after a run with the Alpine A108 in the 1962 event. With a competition weight for the car of around 620 kg, Alpine achieved increasing success in rallying, and by 1968 had been allocated the whole Renault competition budget. The Alfa Romeo 2000 is a luxury car produced by Italian car manufacturer Alfa Romeo between 1958 and 1962, as a successor to the 1900 Super. It was replaced in 1962 by the Alfa Romeo 2600, the 2000 was presented in 1957 at the Turin Motor Show, with 4-door, 6-seater saloon Berlina body. Production started in 1958, and the car was available as Berlina or Spider convertible, in 1960, the Sprint coupé was added. The 2000 Berlina had gearbox operated via column-mounted shifter making space for three people in front, the two grand touring versions had the gear lever located in floor, and a higher output engine. Until 1961, when 2+2-seater became available, the Spider was a pure two-seater, the last 2000s were built in 1962, when the improved six-cylinder Alfa Romeo 2600 was phased in. The 2000 used unibody construction and a conventional front-engine, rear-wheel-drive layout, the engine was an enlarged version of the 1900´s inline-four displacing 1975 cc. Two chain-driven overhead camshafts operated two poppet valves per cylinder, power was sent to the rear wheels through a 5-speed gearbox, with synchromesh on all forward speeds. Front wheel suspension was independent, with wishbones, the rear used a solid axle. On all four wheels there were springs and telescopic dampers. Brakes were drums, with an hydraulic system, engines The four-door Berlina was manufactured by Alfa Romeo itself, while the Spider and Sprint were designed and bodied by independent coachbuilders, respectively Touring and Bertone. Between 1958 and 1961, Vignale built a series of coupés, all bore chassis type of 102.02, different from a serial cars. The Brazilian variant of the 2000 was produced from 1960 to 1968 by Fábrica Nacional de Motores and it had the same 1975 cc engine with 95 PS. The car used the name FNM JK, JK standing for the president of Brazil Juscelino Kubitschek, in 1966 two other models were introduced, the Onça coupe and the 2000 TiMB, which produced up to 160 PS. The TiMB had a bonnet, coupled with a divided front bumper necessary to accommodate the now lower-mounted Alfa Romeo centre grille. The FNM2000 was replaced with FNM2150 in 1969, it had a bigger engine, for 1971 the 2150 was facelifted, with a more squat version of the traditional Alfa Romeo grille which allowed for a single-piece front bumper. The Alfa Romeo 33 Stradale is a mid-engined sports car built by Italian car manufacturer Alfa Romeo in 18 examples between 1967 and 1969. Stradale is an often used by Italian car manufacturers to indicate a street-legal version of a racing car. A twin headlight 33 Stradale can be seen in the 1969 Italian movie Un bellissimo novembre, the 33 Stradale, first built in 1967, was based on the Autodelta Alfa Romeo Tipo 33 racing car. The car, designed by Franco Scaglione, and built by Carrozzeria Marazzi, the car was introduced at the Sport Car Show at Monza, Italy in September 1967. The prototype was sold to private Gallery Abarth, Japan, a magnesium bodied Stradale replica built in late 1970s, the 33 Stradale is the first production vehicle to feature dihedral doors, known as butterfly doors. The 33 Stradale features windows which seamlessly curve upward into the roof of the vehicle, the car has aluminium body on aluminium tubular chassis. As a result of being built by hand, each differs from the others for some details. For example, early models had twin headlights, replaced in the last ones by single lights, the position of the windscreen wiper, and even the number of them, is another thing that differentiates each example from the others. Also the late models have vents added behind both the front and rear wheels to allow hot air from the brakes to escape. The car has 13-inch Campagnolo magnesium wheels, the eight and rears nine inches wide, there are Girling disc brakes on all four corners. Suspension is like in mid-1960s race car with upper and lower control arms in front and double trailing arms in the rear, the race-bred engine bore no relation to the mass-produced units in Alfas more mainstream vehicles. The engine is related to the V8 of the Alfa Montreal, albeit with smaller capacity. Both engines were derived from the 33 racers‘ but differed in many details, race engineer Carlo Chiti designed an oversquare dry-sump lubricated all aluminum 1,995 cc V8 that featured SPICA fuel injection, four ignition coils and 16 spark plugs. The Austin Maxi is a medium-sized 5-door hatchback car that was produced by Austin and British Leyland between 1969 and 1981. It was the first British five-speed five-door hatchback, the Maxi was the last car designed under the British Motor Corporation, and was the last production car designed by Alec Issigonis. However, upon the merger of BMC and Leyland the new management abandoned the four-door saloon notchback, the Marina was a rear-wheel drive car available as a saloon, coupe or estate. The new chairman Lord Stokes decided to change the hatchbacks name to the Maxi in homage to the Mini of 10 years earlier. All Maxis were produced at the Cowley plant in Oxford, although the E-Series engines were made at a new factory at Cofton Hackett in Longbridge. It was launched in Oporto, Portugal, on 24 April 1969 in a blaze of publicity, being one of the first cars to appear on the BBCs new car programme Wheelbase and it was the first car after the creation of British Leyland. It followed the five-door hatchback pattern of the French-produced Renault 16, underneath the Maxis practical and spacious bodyshell lay an all-new front wheel drive chassis, which was interlinked with an innovative five-speed manual transmission. The latter suffered from problems with its control linkage, especially in early models which had a cable-operated linkage prone to cable stretch. These were noted by autotesters such as Vicar in Todays Driver, the rod linkage was less problematic. All models were prone to problems brought on by the cogs in the layout, whereby the gearbox. The clutch oil seal was prone to leakage, power came from a 1485 cc, E-Series petrol engine which would find its way into other British Leyland products such as the Austin Allegro. Another styling ambition for the car was a saloon version. A prototype was built, badged as a Morris, but it was not put into production, for a short while the Nomad was exported to New Zealand and offered alongside the locally assembled Maxi. One unusual feature of this car was that the seat back, as well as folding forward as in a conventional hatchback. In combination with fully reclining front seats this gave satisfactory, if spartan, towards the end of the Maxis life, in 1980, a lightly revised model was marketed as the Maxi 2. See Austin 10 for the Cambridge models of 1937 to 1947. See Austin A40 for other A40 models, the Austin Cambridge is a motor car range produced by the Austin Motor Company, in several generations, from September 1954 through to 1969 as cars and to 1971 as light commercials. 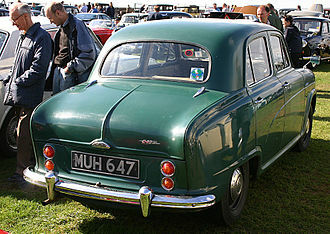 It replaced the A40 Somerset and was new, with modern unibody construction. The range had two body styles with the A40, A50, and early A55 using a traditional rounded shape and A55 Mark IIs. The A40 number was re-used on a car from 1958 to 1967. 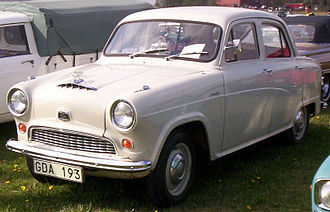 The Austin Cambridge was initially offered only with a 4-passenger, 4-door saloon body and it had a modern body design with integrated wings and a full-width grille. Independent suspension was provided at the front by coil springs and wishbones, a van derivative introduced in November 1956 and a coupé utility introduced in May 1957 and remained available until 1974, some 3 years after the demise of the cars on which they had been based. A1. 2-litre straight-4 pushrod engine B-Series engine based on the one used in the previous Austin Somerset powered the new Austin Cambridge. A maximum power output of 42 bhp was claimed, power was transmitted to the wheels by means of a gear box controlled with a column-mounted lever. The A40 Cambridge was intended to be available in both saloon and four-door saloon variants, the two-door body style did not reach production. Only 30,666 A40 Cambridge models were produced, technical advances in the A50 Cambridge included an optional Borg-Warner overdrive unit for the top three gears. A semi-automatic transmission was offered, but it was unpopular with buyers. A number of modifications were introduced in October 1956 including smaller 13 in wheels, a de luxe version tested by The Motor magazine in 1955 had a top speed of 73.6 mph and could accelerate from 0–60 mph in 28.8 seconds. A fuel consumption of 28.0 miles per gallon was recorded. The test car cost £720 including taxes, a radio and a clock were optional extras. As with its predecessor the A40 Somerset, the A50 Cambridge was built under licence by Nissan in Japan, in total,20,855 licensed Austin vehicles were produced by Nissan in Japan. In January 1957, the A55 Cambridge was introduced to replace the A50 model and it used the same 1. The Armstrong Siddeley Sapphire is a large automobile which was produced by the British company, Armstrong Siddeley Motors Limited, from 1952 to 1960. A distinctive element of the Sapphires was the traditional Armstrong Siddeley V-shaped radiator grille with the Sphinx motif mounted on it, on some models the sphinx sported aircraft wings carrying tiny Armstrong Siddeley Sapphire jet engines. The Sapphire 234 and 236 were two cars identical in appearance but sold with different engines having different performance characteristics, the 234 could be purchased with wire wheels as an optional extra. The 234 was produced from 1955 to 1958 and used a four-cylinder 2,290 cc version of the 346 engine, the transmission was a manual four-speed gearbox with optional overdrive. A100 mph car intended for the man who liked high performance, the 236 was made between 1955 and 1957 and used the six-cylinder 2,310 cc engine previously seen in the Armstrong Siddeley Whitley. 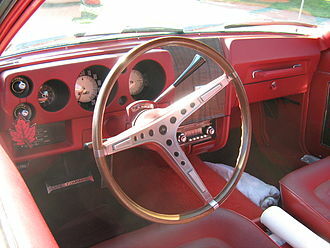 A conventional manual gearbox was available but many were fitted with a Lockheed Manumatic clutchless transmission, overdrive was an option on either transmission. This car with an 85 mph maximum was intended to be a quiet, the 346 was the first of the Sapphires introduced late in 1952 for sale in 1953 and continuing until 1958. The front suspension was independent coil springs with a rigid axle, the Girling hydraulic brakes used 11 in drums all round. The body was available as a four- or six-light at the same cost, the seats were finished in leather, with the dashboard and door-cappings in walnut veneer. It was introduced with the choice of a Wilson electrically-controlled finger-tip four-speed pre-selector gearbox as a £30 option and it became available with automatic transmission with the introduction of the Mark II in 1954. A long-wheelbase model was launched in 1955 as a version which had the pre-selector gearbox as standard, however. It featured a longer chassis with a body incorporating a limousine division. 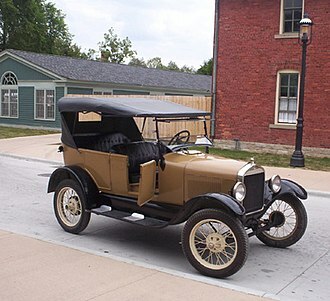 Models for export to the U. S. were always delivered with twin carburettors, a fuel consumption of 18.7 miles per imperial gallon was recorded. Acadian is a make of automobile which was produced by General Motors of Canada from 1962 to 1971. The Acadian was introduced so that Canadian Pontiac-Buick dealers would have a model to sell. 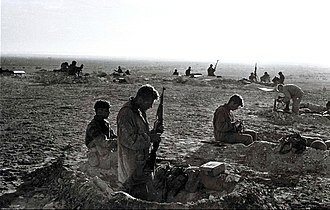 The brand was offered in Chile, with models built in Arica. In order to promote automobile manufacturing in Canada, The Auto Pact in the 1960s had provisions prohibiting sales of certain United States-made cars, Acadians were retrimmed Chevy IIs, offered as a base model, mid-priced Invader and top-line Beaumont. The car used Pontiac styling cues such as a split grille but was marketed as a separate make, as with the concurrent Chevy II, Acadians were offered with 4-cylinder, 6-cylinder and V8 engines. There was a choice of transmission, depending upon the model, Invader became the series name for the base model. Its fuel tank held 13.5 imperial gallons, from 1966 Beaumont was designated as a separate make, without the Acadian name. 1966-69 Beaumonts continued to use the Chevrolet Chevelle body with minor styling revisions, including different taillights, the interior used the instrument panel from the American Pontiac Tempest/LeMans/GTO series. Drivetrains were the same as the contemporary Chevelle with the exception of the 396 with 375 rated bhp, the one exception to Chevelle/Beaumont availability was a base-model Beaumont convertible. Such a model was never available in the Chevelle line in the USA although it was in Canada, all Acadians and Beaumonts used Chevrolet engines and drivelines. The Beaumont was discontinued after 1969, after which Canadian dealers sold the Pontiac LeMans, the Acadian continued using the Chevy II/Nova body through mid-1971, after which it was replaced by the Pontiac Ventura II. GM would not market another Canadian-exclusive brand until the launch of Passport starting in the 1989 model year, during the muscle car craze in the late 1960s, Chevrolet Chevelle offered the Super Sport and SS396 models that offered high performance, bucket seats, and sport stripes. In Canada, Beaumont offered an equivalent model, the Sport Deluxe, many collectors consider the Beaumont SD396 even more desirable than the Chevelle SS396, since it is far more rare. The Apal Coupé was produced from 1961 till 1965 and featured a glass-fibre body on a VW Beetle chassis. 1966 Apal Formula Vee single seater.